TOKYO -MAY 28: Yakatabune Funasei pier on May 28, 2014 in Tokyo, Japan. 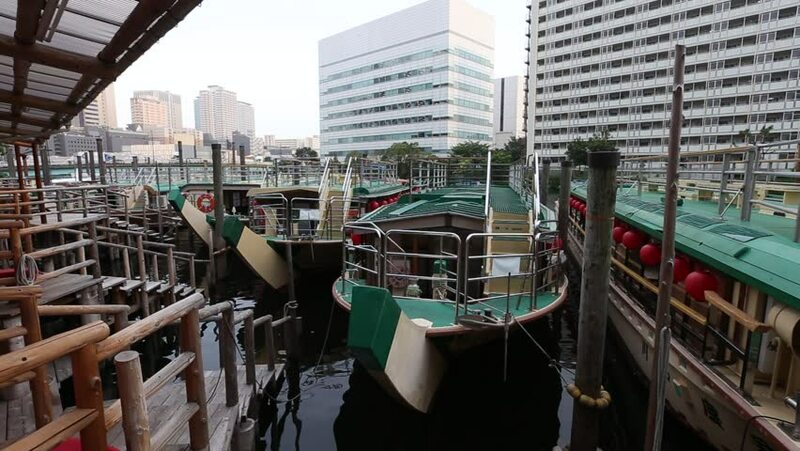 Yakatabune Funasei is the Japanese Old-fashioned Houseboats restaurants that operate all year round on the Tokyo waterfront. 4k00:10SINGAPORE - CIrca MAY 2016: Singapore River Cruise is another famous tourist sightseeing activities.